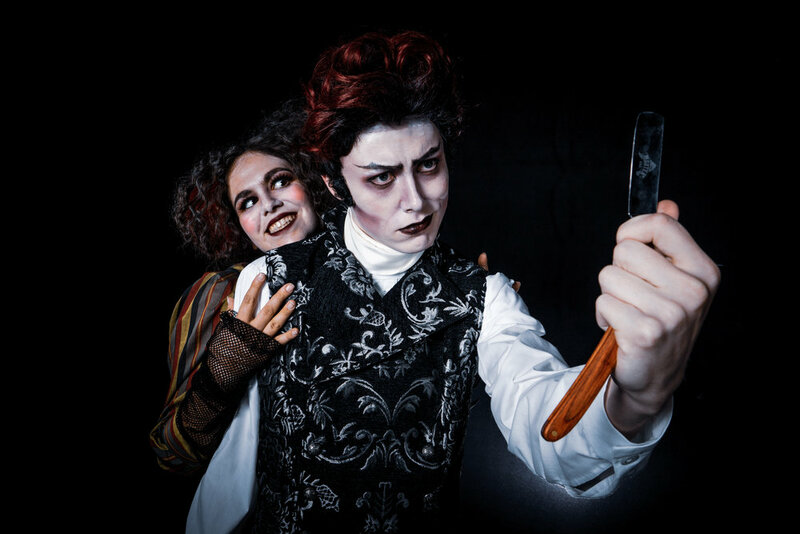 "Sweeney Todd - The Demon Barber of Fleet Street" premieres on Thursday, Feb. 7. Sonoma State University’s Department of Theatre Arts and Dance spring 2019 season begins with a co-production set in revenge, vengeance - and “meat pies.” The acclaimed musical “Sweeney Todd - The Demon Barber of Fleet Street,” which follows a Victorian-era barber seeking vengeance against the entire human race with his associate and baker Mrs. Lovett, will be presented in collaboration with the Music Department on campus by Sonoma State students beginning next week. 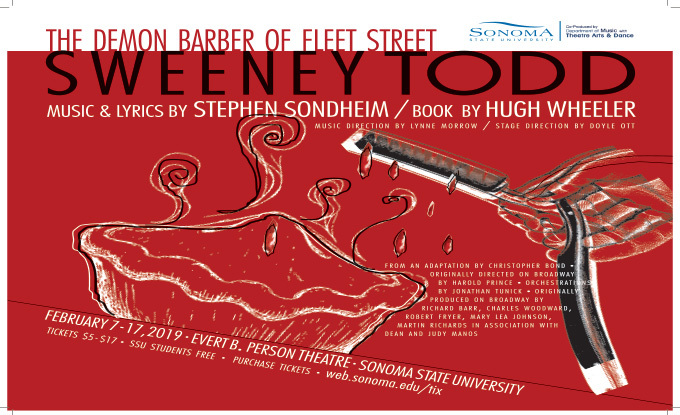 On Thursday, Feb. 7 at 7:30 p.m., an ensemble cast of 26 SSU students and a professional 14-member orchestra will premiere “Sweeney Todd” at Everett B. Pearson Theatre. Tickets are free for SSU students. The production will be shown over a 10-day span, with gorgeous Victorian-era costumes and music and stage direction by SSU’s own Music and Theatre Arts Departments. 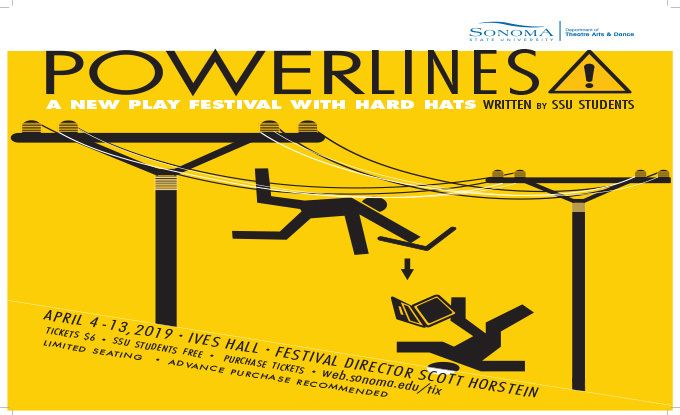 On April 4, the season continues with “Power Lines: A New Play Festival with Hard Hats,” the second annual festival featuring a new generation of plays written, directed, designed and performed by SSU students. From two potential lovers uncovering the truth behind bad pick-up lines, to four friends avoiding an evil R.A. while journeying into the heart of their dorm room, the festival will show four plays over the span of a week. 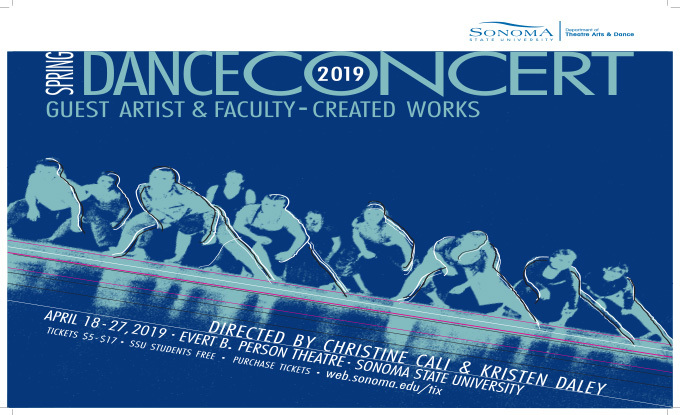 Rounding out the year, from April 18-27, the annual Spring Dance Concert will showcase renowned guest artists from around the world to help explore and present new dance works featuring Sonoma State student performers. This year’s guests include three distinguished contemporary and experimental dance artists along with the SSU alumni dance company Creative Community Movement Collective. All events will be held in Ives Hall or Pearson Theater. For each production, all Sonoma State students are admitted free with a valid student ID. For non-SSU students and seniors, tickets are $10, $15 for SSU faculty and staff and $17 for standard admission. On select Thursday nights, “Friends and Family Night” features $5 admission for all ticket buyers, with faculty, staff and alumni receiving free admission. Tickets can be purchased online at the performing arts box office. To purchase tickets in person, the box office is located on the first floor of the Student Center or, depending on the venue, the Pearson Theatre or Ives Hall box office will be open 45 minutes prior to showtime. For more information, visit the Theatre Arts and Dance ticket page. SSU Students: Type in code SSUStudent for your FREE tickets. SSU Faculty & Staff: Type in code SSUFacStaff for discounted tickets. Thursday, Feb. 7 - 7:30 p.m.
Friday, Feb. 8 - 7:30 p.m.
Saturday, Feb. 9 - 7:30 p.m.
Sunday, Feb. 10 - 5 p.m.
Friday, Feb. 15 - 7:30 p.m.
Saturday, Feb. 16 - 7:30 p.m. The Power Lines Festival is back! The 2nd Power Lines Play Festival will feature four short plays written, directed, designed and performed by SSU students. Thursday, April 4 - 7:30 p.m.
Thursday, April 11 - 7:30 p.m.
Professional guest artists from around the country are invited to SSU to explore, inspire, collaborate and present new dance works featuring SSU student performers. Thursday, April 18 - 7:30 p.m.
Saturday, April 20 - 2 p.m.
Thursday, April 25 - 7:30 p.m.
Saturday, April 27 - 7:30 p.m.